I’ve always prided myself on being very active and doing loads of exercise which, as you know and are probably sick of hearing me say, I insist is the closest thing to an anti-ageing pill. The horrible truth however, is that I may have been completely wasting my time in the gym! I may go and do weights twice a week, following a program my trainer, Rhys, has laid out for me, but the workouts I’m doing with him in my bootcamp, are as different as doing a marathon is from taking a stroll in the park. These workouts are intense and tough and Rhys maintains this is how I should always be working out. Huh? Are you mad? I never push myself and cheat constantly, only doing as many repetitions as I feel like and never picking up anything too heavy. I guess that explains why, even with all my exercising, I’m lacking tone and various body parts are heading south. 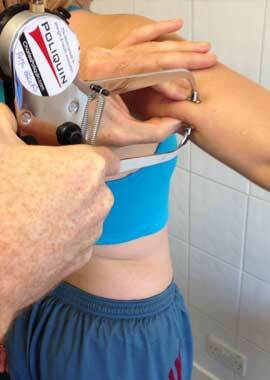 To begin with, Rhys got out his callipers and started measuring the fat layers all over my body. After the first work out I was really sore (and yup, you guessed it, that never happens when I work out by myself). After the second work out, I was in such pain in my legs that I hobbled around for the rest of the week looking like a jockey who forgot his horse! I guess I really have been doing things on auto pilot and not changing things enough. The body likes new challenges and you need to mix it up a bit. Here is what Rhys says. He’s included some great tips if you want to improve your own work out. Or even start one. RHYS BROOKS (personal trainer) – Glynis’ new training program is aimed at improving body composition, that is reducing body fat and increasing muscle mass. The program is built around the principles of mobility, stability and intensity. Before starting the new phase of training I performed a bio-signature body fat assessment to identify Glynis’ overall body fat levels, these came in at a healthy 20.2%. However although in the healthy range these levels hide the quality muscle that Glynis possesses. In order for Glynis to show a little more tone we will need to drop this level slightly towards the 15%-17% range. A combination of increased intensity, frequency and good nutrition will help her towards this goal. Intensity involves the use of much heavier weights, encouraging muscular growth and body fat loss. The exercises in the program are now based around multi jointed (compound) exercises. These exercises use more muscles allowing for a heaver weight to be lifted which in turn increases the metabolic cost of the exercise. This simply means a greater number of muscles are used in each exercise and therefore more calories burnt. squats, deadlifts, chin ups, dips, shoulder press and barbell rows. 2. Superset exercises. Perform 2 exercises back to back then rest. the weight is too light. The last two weeks have felt more like two months but I feel I’ve come a long way. The first week of low energy and craving carbs and sugar has passed and I now feel quite transformed. I have great energy, but it’s a different kind of energy. Not a bouncing off the walls, let’s party all night energy, but rather a calm, steady, not feeling tired at all energy. No afternoon slumps. The most amazing thing is that my sleep has been transformed. I’ve never been a great sleeper, have always found it difficult to “switch off” and get to sleep in the first place and then am awakened at the slightest sound. Now I fall asleep almost immediately, go into a deep sleep and wake up in wonder that I was able to do that! I’m wondering what’s brought this on? Is it not drinking any alcohol? No sugar? I’m still having caffeine as I drink green tea and do have the occasional cuppacino (as opposed to every day as I usually do), but maybe because I’m having less? And I’ve had no chocolate! Which I can’t quite believe! Maybe it’s a combo of all of the above? I’m actually a bit upset about this because how can I ever go back to indulging in wine, chocolate or sugar when I know how good I feel without it? Damn! I can’t quite believe it, but since reading this article last week I haven’t touched a bit of chocolate! Coming from a total chocoholic that’s quite something, and unbelievably I haven’t even missed it or found it difficult to go without. Guess it’s just all down to habit?! I can do the squats but the other exercises all seem to call for equipment that I don’t have. 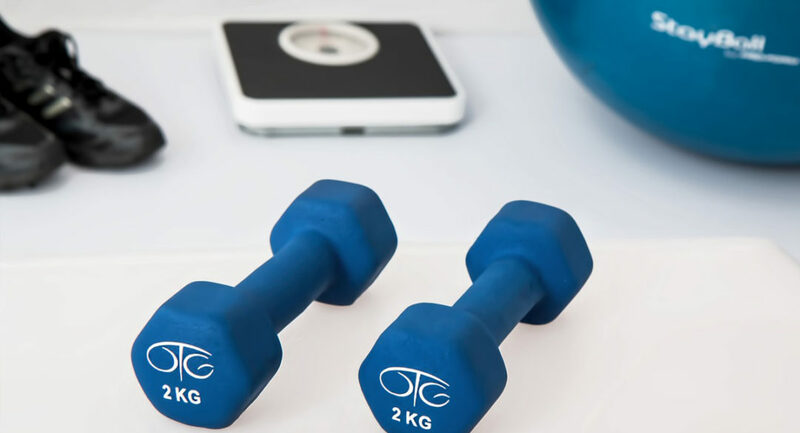 It would be really helpful – and make this regime more universally feasible – if you could provide a version of this exercise regime which can be done without specialist gym equipment, for those who (like me) do not have access to a gym. Yes I’m afraid some gym equipment is needed for some of these exercises as I was writing about the bootcamp I was doing at the time. In my book the In-Sync Diet we have put in a number of exercises to do at home.